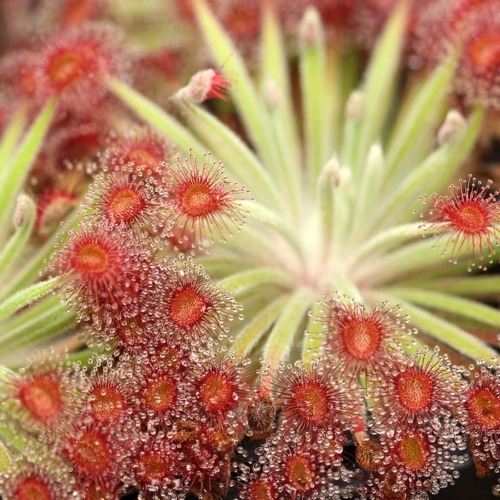 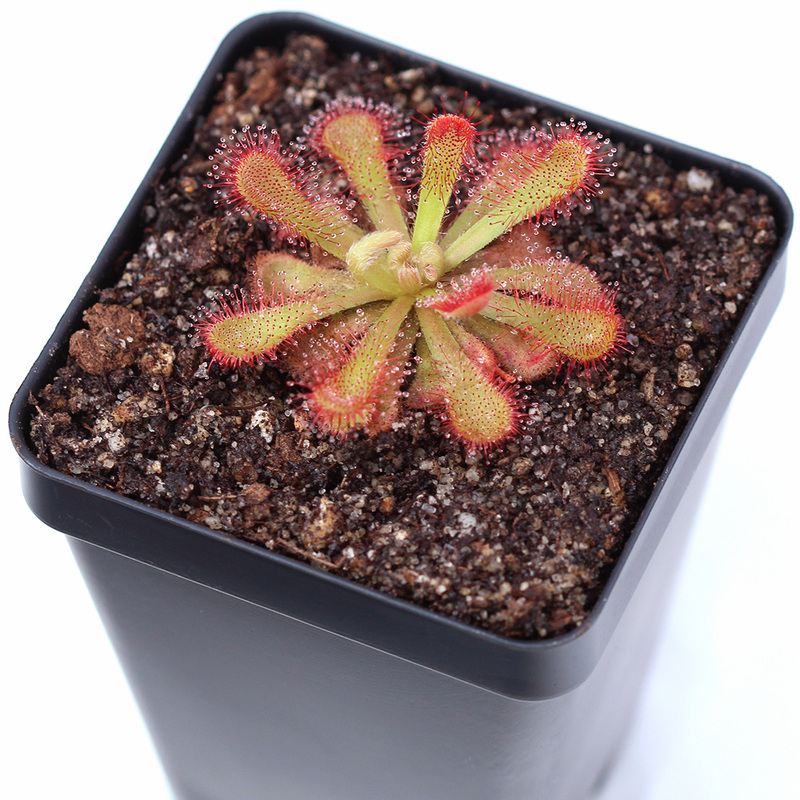 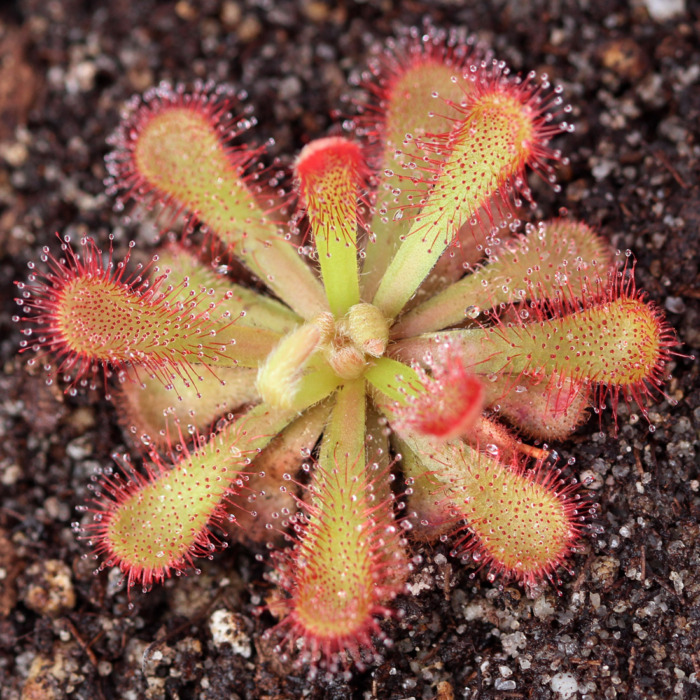 Drosera venusta, or the Elegant Sundew, is native to subtropical South Africa. 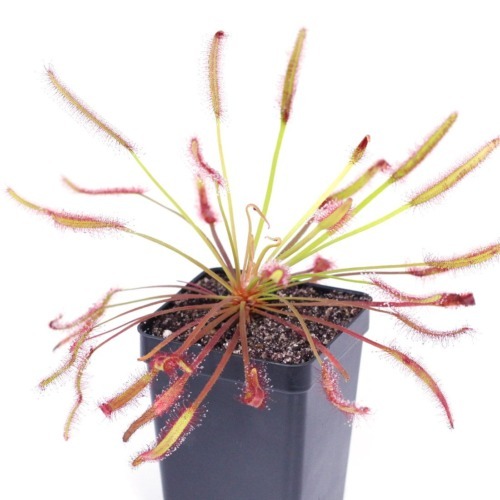 It was described as a new species in 1987, although there is debate whether is should be considered synonymous with D. natalensis. 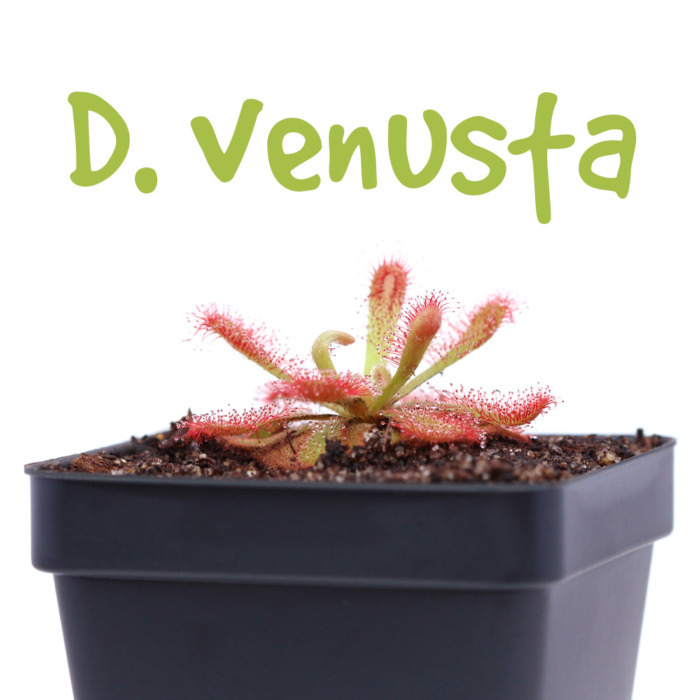 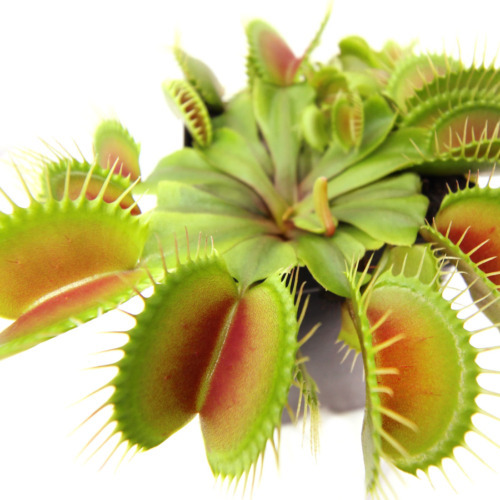 D. venusta is easy to care for making it a good plant for beginners. 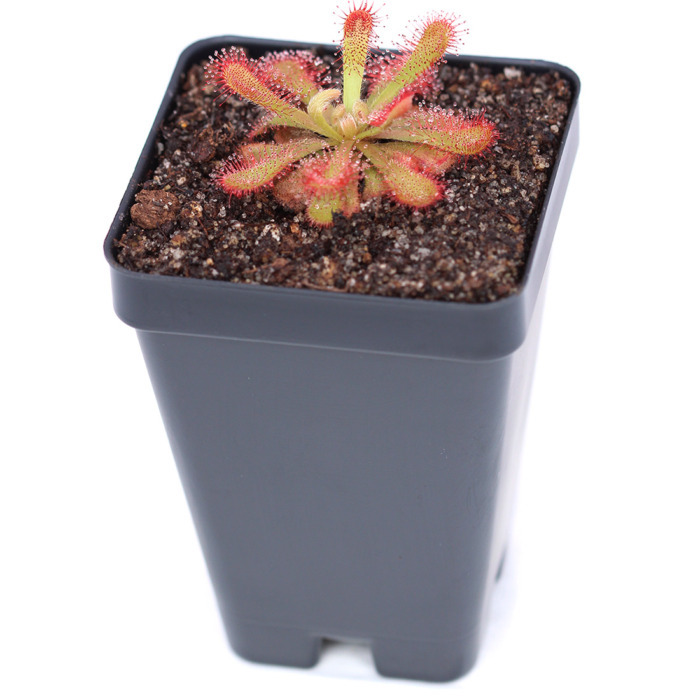 Its leaves turn bright orange/red under strong light and will appear more green in dimmer conditions.